The trite script of misogynistic perception invariably paints marriage as the be-all and end- all for Indian women. Walking away from this ‘holy bond’ is considered sacrilegious. But some women are choosing to rewrite this jaded script and forge an all-new identity. In 2013, Bhuvana Kalva was the new spark on Indian women’s tennis scene. 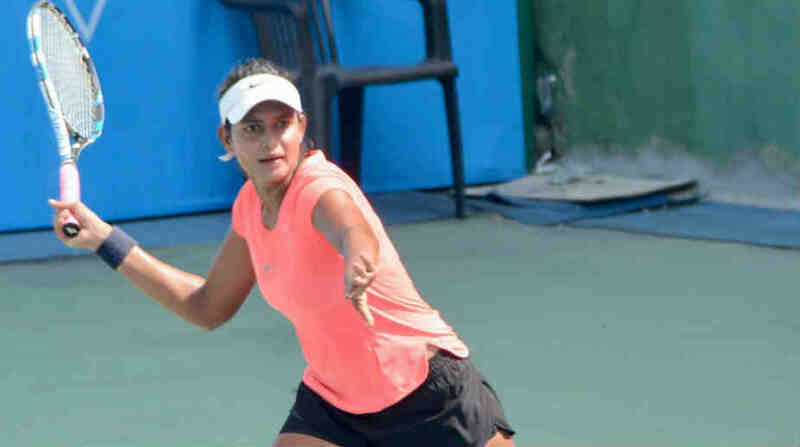 She came out of nowhere to win an ITF Futures (the entry-level tournaments for the pro tour) title at the age of 18, downing players of the calibre of Ankita Raina, who is now the country’s top singles player. But suddenly she disappeared and one was left wondering as to what became of the promising player. In this year’s edition of the Fenesta National Championship, Bhuvana, now 22, was back with her racquet and she had a tale to tell — about adolescent infatuation going wrong and the subsequent rediscovery of self. At the age of 19, Bhuvana chose to go against the wishes of her parents and get married. The marriage failed and she was soon locked in a divorce battle with her husband. The case got over as quickly as the marriage itself but her tennis career seemed all but over and she went into the oblivion. Her dream of a successful tennis career had gone bust before it could take flight. This year, Bhuvana reached the women’s singles semifinals and was just one point away from a summit clash before caving in to Zeel Desai, the eventual runner-up. But her effort caught the attention of any in the Indian tennis fraternity and there is a buzz about the power of her strokes. Now that the racquet is talking, it’s also stilled all other parables. As the established names and younger players fell by the wayside, Bhuvana clung onto her self-belief to make semis. What stood out were her fierce ground strokes. So, just what makes her strike the ball so hard and go for the lines? “I follow one dictum: kill the opponent before she kills you! As such, I like to go for my shots, before she does,” Bhuvana told PTI in an interaction. Does she feel mentally stronger, having faced tough personal times? “Yeah, exactly. I feel very strong now. I feel I can handle any situation and it’s my dad who pushed me to come back and play. I had stopped playing completely. All thanks to him, I feel stronger than before,” said the Hyderabadi. Bhuvana Kalva revealed that it’s only been the last few weeks that she began taking the game seriously again. Her coach Illyas Ghouse, who has moulded many a national champions, said the biggest challenge for him was to get Bhuvana to regain her physical strength. “There was zero motivation and she was not eating well. There was no strength in her body to play even a full set. Even good players lose rhythm when they stop playing. As a teacher, you want to help these kids. 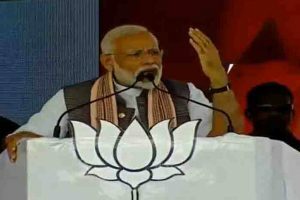 I also have two daughters,” Ghouse said from Hyderabad. The hard work seems to be paying off. Bhuvana also spoke about her semifinal defeat against Zeel. She had a match point in the 12th game of the final set but missed the chance to close it out and was blanked 0-7 in tie-breaker. “I got a little down after the match point. It was an easy forehand and I hit it into the net. I think my brain stopped thinking after that. I was completely blank in the tie-break. It’s been a very long time since I played such a long match. It was hard towards the end.